Full Day Care. Pre-school groups. School Readiness Programs. Educational Programs. Safe enclosed play area. Large Bright Rooms. Reasonable fees Christian Environment, Meals Included, Pre-school, holiday care and after care also available. 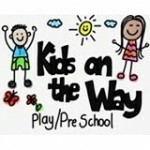 Children from 18 months including Grade R.
Christian Pre School from 18 months to Grade R in Summerstrand Area. A Child Friendly Educational Centre. Children from 18 months to 5 years. Our teachers will provide your child with developmentally appropriate activities in an engaging and nurturing environment. 3 months to 4 years. Home away from home environment where your little angel will get all the individual attention they deserve with small classes, developmental stimulation, learning activities and full menu provided. 20 years of daycare experience. Sing-along sessions, Story time, Home cooked meals Sports, Swimming, Lots of love and laughter. Children ages 3 months to 4 years old. R1100 pm (2014 rates). Babies 3 months – Toddlers 4 years. 7am – 5:30pm. Loving owner & staff, homely environment with lots of individual attention. Our premises are neat and clean, just off Circular drive, half day option + school holidays. Full Christian Based Curriculum aimed at ages 1 – 5 Years. Small Classes for Individual Attention. Holiday Care & After Care for ages 0-12 Years old. Dagsorg vir babas tot 2 jaar. Individuele aandag. Groot sonnige vertrekke en huislike atmosfeer. Opgeleide noodhulp persoon op perseel. We strive to build habits and attitudes that will help your child learn and experience God’s world and His love for them. We have established a reputation for providing excellent childcare and educational grounding.